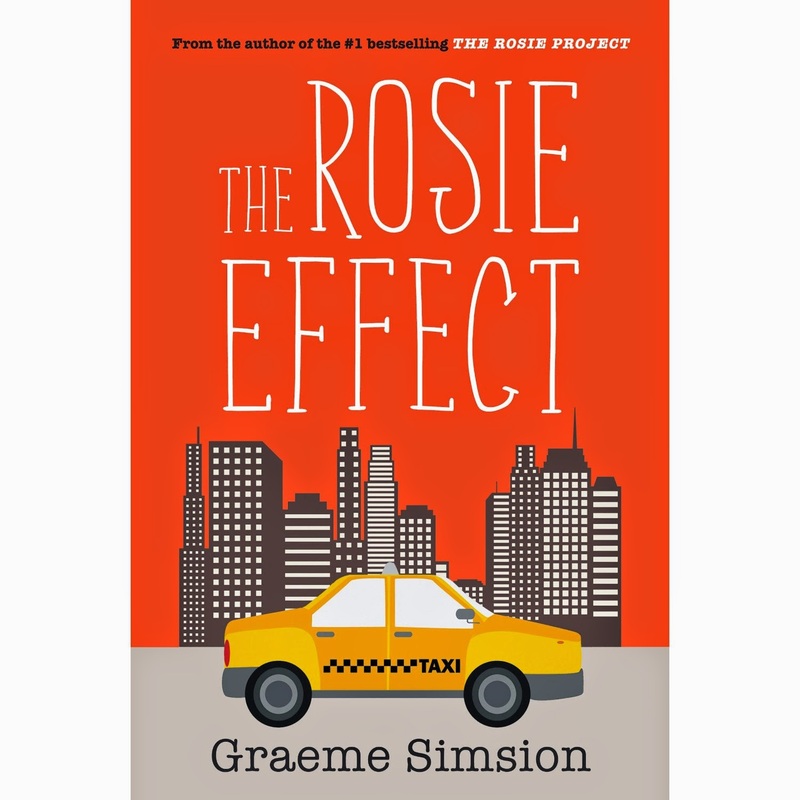 As I mentioned in my review of The Rosie Project, I came across Graeme Simsion's work from Indigo.ca's The Best of 2014 list. The Rosie Effect was listed as one of the top books last year. Having read The Rosie Project only a few weeks ago, Don and Rosie's origin story is still fresh in my mind. I was very excited to dive back into their world. Since the last book, Rosie and Don have gotten married and now live in New York. Rosie is pursuing her PhD and MD, while Don is continuing his teaching and research at Columbia. They've moved into a cozy apartment which has caused Don to abandon certain aspects of his pre-marital life like the Standardized Meal plan. Don's list of friends has also expanded to include Dave, who he and Rosie met during their first visit to New York, his wife Sonia and the Esler's, Judy and Isaac. In the first few pages we learn that Rosie is expecting, this is the catalyst event that begins Don's web of lies as he tries to hold his life together and keep his marriage afloat. The rest of the story continues in true Don and Rosie fashion. Meaning a lot of alcohol consumed, a couple aikido demonstrations and laugh out loud moments. Graeme Simsion's books are amazing feel good reads. I'm so happy I made the decision to pick them both up. I'd highly recommend them to anyone that's looking for a laugh. They're available at Indigo.ca and Amazon.ca.